2016 clients and social media followers, be on the lookout for the holiday newsletter, with an early release of the 2016 holiday schedule, December Deal-A-Day calendar and 12 Days of Healthy Hair specials before anyone else gets it. Please be on the lookout for this in the email you provided when scheduling. It's highly recommended to schedule early for the holiday season. Sign up for the newsletter to get the most up to date info for the holiday season, including bonus specials only available in the newsletter. Join Styles by Sheba in supporting Highland Springs High School's Track Team for their season opening fundraiser. We are raising funds to help the team with travel and uniforms. We are looking for vendors and food trucks for this worthy cause. If you are interested in being a vendor or food truck contact lpv2012llc@gmail.com with subject line "HSHS Fundraiser"
Please come out and support! We are having raffles, jewelry, natural bath and body products, new clothes, haircuts by Styles By Sheba and much more. Quarter 1 of the Styles For Grades Program kicks off on November 28, 2016. Allow your child's report card to earn them discounts on hair care services. Please consider supporting my "Styles For Grades" Program by making a donation to support rewarding students for academic excellence at http://bit.ly/1qOkYiv. All transactions are secure and handled via PayPal. Complete details at www.stylesbysheba.com. 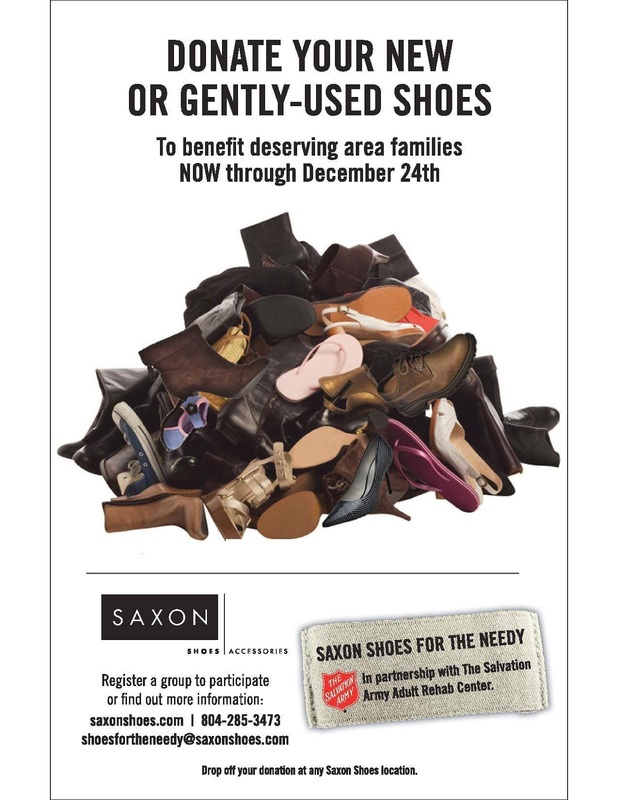 Styles by Sheba / Nolef Turns Inc. have partnered with Saxon Shoes to collect new and gently used shoes for those in need, now through December 24th. I will be collecting at the corporate office at 1805 Monument Ave. Ste. 315, Richmond, VA 23220 and upon request. Have some things to donate and can't get to the office? Give me a call and we will make arrangements to meet.